Please note Lyme Regis is closed until further notice due to fire damage. 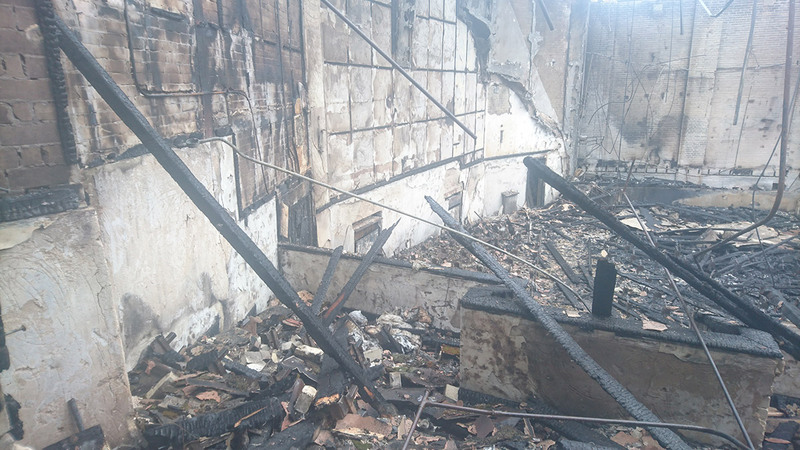 Unfortunately, due to a fire, the Regent Cinema Lyme Regis will be closed until further notice. The WTW-Scott Cinema group is still actively engaged in a potential rebuild scheme for the Lyme Regis cinema. We're currently working on our fourth set of design proposals, from which we need to reach the point where the rebuild scheme is both financially and architecturally viable. At present, we have not consulted with local authorities as there is little point in wasting everybody's time presenting a scheme design that isn't viable. New build cinemas are architecturally very complicated, and the Lyme Regis venue being a listed building presents challenges to overcome, all of which add significantly to any build schedule. Once we have a viable, workable scheme, we look forward to working with the local authority and Historic England to progress this. Contrary to rumours, we have not sold the site and Scott Cinemas recent partnership with WTW Cinemas has only helped solidify our design aspirations for Lyme Regis, and our continued expansion in the South West. Work continues behind the scenes to prepare for a cinema rebuild in Lyme Regis. WTW-Scott Cinemas are actively engaged in finding the best means of bringing Cinema back to the town. Regrettably there has been some delay due to the first proposed scheme not meeting the required design or financial criteria. A different proposal is now under consideration, and this is at the “in principle” consultation stage with the County Planners and with English Heritage. The Lyme Regis town council have been kept informed of developments and we would like to thank them for their interest, support and valued opinion. Scott Cinemas and WTW Cinemas joined forces in April 2017 to become partner companies. The Directors board across both companies are aligned in their thinking, and all wish to complete a rebuild scheme of the Regent. As with all cinema developments, the scheme must be viable in terms of design, build and finance. At present, we are still deep in the legal stages of ensuring that insurance funds can be released. Because it is such a large and complex claim (the cinema was insured with its Grade II listed status in mind), this has been a much longer process than we had hoped, but we are now in the final stages. Unfortunately, it has not been possible to take plans any further until this highly necessary stage is completed. Our architects, Northern Building Design Associates (NBDA Ltd), have come up with initial rebuild plans which, upon the completion of the insurance stage, will be progressed. This is likely to be another slow stage as various trade and regulatory bodies have to be consulted, not least of which is English Heritage who are likely to have extensive input on the plans due to the nature of the Grade II listing. Whilst there has been no visible exterior progress on the building, behind-the-scenes discussions have been taking place over the last 9 months and Scott Cinemas staff continue to make sure the remainder of the building is protected and maintained as far as possible on a regular basis. Depending on the length of time needed to secure planning consents, it is likely that building work could commence later in 2017. We would continue to offer thanks to the people of Lyme Regis for their comments over the last few months, and we are genuinely pleased to receive so many messages of support. We truly recognise the importance of the cinema to the town and surrounding areas and are doing everything within our power to progress a rebuild scheme. The cinema site is now in the hands of demolition contractors, and by the end of next week, the auditorium block will have been removed. Further clearance of the site will take another 3 weeks, during which time the path to the side of the cinema and the forecourt will be out of bounds - this is for safety, and to ensure no one gets hurt while this work is ongoing. In the mean time, Scott Cinemas senior team have emptied the foyer and established that all works within the foyer are purely cosmetic, and therefore this area of the building will be able to remain as existing - save for a very deep clean and paint job! Although we had looked at potentially being able to open the foyer during the summer as a coffee/meeting point, sadly this doesn't look to be possible, as rebuild contractors will likely have to use the foyer and forecourt to unload materials. Our architects continue to liaise with English Heritage, and work on designs for a rebuild. We hope to have some design ideas within the next 3-4 weeks. All planning applications will be displayed on poster frames in the cinema forecourt, which will be accessible once the demolition contractors have finished. We are actively talking to other parties in the town around being able to provide some film entertainment while the Regent is closed, and we'll update you all with more news when we can. We would like to thank everyone who has been in touch and come forward with suggestions of fundraisers. These kind of acts and ideas have really touched us, and we're very happy that the people of Lyme Regis and surrounding areas hold the Regent in their hearts. 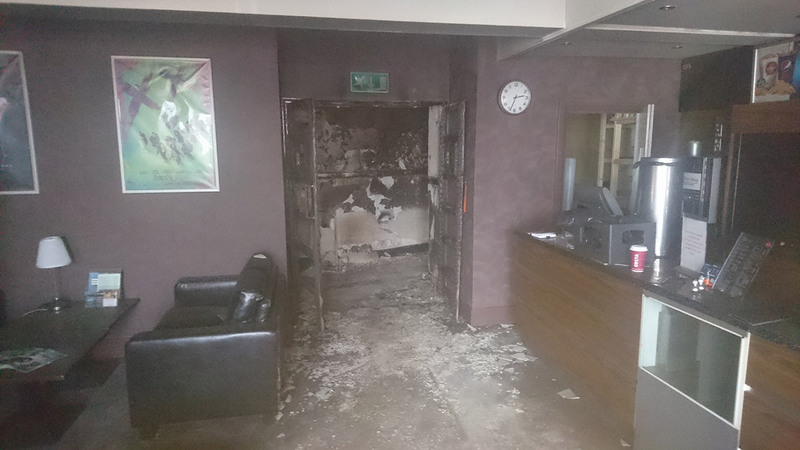 As much as this is the case, as a commercial cinema operator Scott Cinemas have to abide by strict legal processes when dealing with an event of this magnitude. We have to be very careful not to disrupt these processes, and unfortunately, it is not possible to organise fundraisers, or accept any offers of financial help while things are at such an early stage. Also as a commercial operator, and so as not to interfere with established legal processes in this regard, we are unable to accept public donations. At this stage, finance is not an area we are concerned about. Regardless of the amount of capital available from any source, the whole process of potentially rebuilding a cinema is laborious and takes time, just as it would to build a new cinema from scratch anywhere else in the country. Whilst we truly, genuinely, appreciate all of the ideas, suggestions and offers coming to us, we would ask you to bear with us while we follow this process. Our cinemas in Sidmouth and Exmouth are both open and trading as normal, and would be glad to welcome all Lyme Regis customers through their doors. Work has progressed today (Thursday) ahead of the Bank Holiday weekend to secure the cinema site and make the parts of the building that are still standing safe. Clean up teams have been working their way around the areas and properties close to the cinema to remove debris. Environmental Health have been supervising this work together with structural engineers and the Scott Cinemas management team. Because of the bank holiday weekend, progress on this is likely to be a little slow until Tuesday, but we will ensure all areas are cleaned up. In the midst of this devastation, our teams have been so happy to talk to our neighbours, and the support being given is overwhelming. If you are in the area and notice that we havn't been able to clear any debris off of your property, please do contact us and we will make arrangements with the contractors to have this done. Please don't take any personal risks attempting to remove debris yourselves - we will get this done for you. At the same time, the Scott Cinemas management team have started to empty the building ready for it to be cleaned. This will involve storing all fixtures and fittings off site, leaving the foyer areas ready to be deep cleaned by professionals. This is not a quick job, with the cleaning process taking many months to complete. While this is being done, and as previously advised, the remains of the auditorium block will be demolished and the site cleared. We are thankful that fire separation measures performed as expected, and prevented the spread of the fire into front-of-house areas, where damage has been confined to being largely cosmetic. It has also been nice to talk to so many members of the public who have stopped by to say hello and offer support while we have been emptying the building. We also wish to extend our thanks to the team at Hix Townhouse, who have been very kind in letting our team use their facilities, both while the situation was developing and for the occasional wash-up afterwards, and to the team at Costa Coffee for helping us out with cardboard boxes! The support of the community has been endearing. Images released by Scott Cinemas and permission granted for external use. 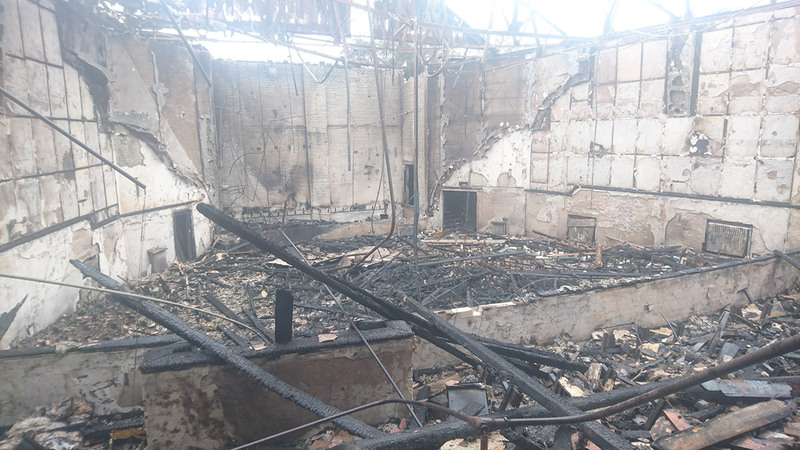 Following the devastating fire at the Regent Cinema on Tuesday 22nd March, we can now confirm that the auditorium block of the Regent has been damaged beyond repair, and will have to be rebuilt. Damage to front of house areas is largely cosmetic, and will be attended to as part of the wider build scheme. We have every intention to rebuild the cinema to its former glory. The authorities have confirmed that there are no suspicious circumstances surrounding the fire, which was caused by an electrical fault within the roof void of the building. Over the next few days, fencing will be going up around the site to establish a safe working zone for contractors. In the coming weeks, what is left of the auditorium block will be demolished, leaving the site clear for construction works. At Scott Cinemas, we have been genuinely touched to receive so many messages of support from all areas of the local community, whether it be from our customers, or from businesses offering help, support and services. 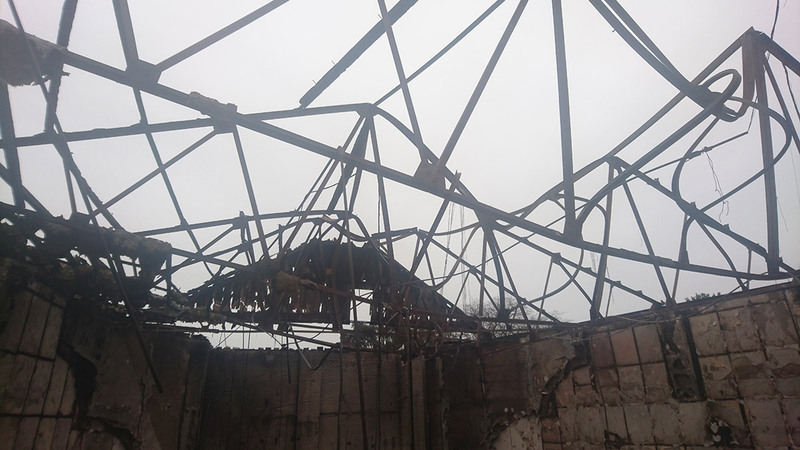 Whilst we truly, greatly, appreciate all offers of help, our architects at Northern Building Design Associates (NBDA), are liaising with English Heritage and structural engineers to progress the clearance of the site, and also to work on a rebuild scheme. They will hand the works over to an approved cinema contractor once a scheme is agreed. NBDA have extensive experience in the UK cinema design industry and have more knowledge of dealing with listed buildings than any other cinema architect. They will work closely with ourselves, the local authority and English Heritage to ensure the smoothest process in attaining planning permissions. We are confident that NBDA will help us deliver a scheme that will return the Regent to its former glory, while embracing their own design ethos to ensure the cinema remains viable for years to come. Although all of us at Scott Cinemas are deeply saddened by the loss of the Regent, we are acting quickly to ensure we can provide the people of Lyme Regis with a cinema as soon as is practically possible. Once again, we wish to extend our thanks to the people of Lyme Regis for their support, all of the emergency services that worked tirelessly to try to save as much of the building as possible, and all of our partners in the industry - all of whom have worked extremely hard over the last few days to ensure that our needs have been attended to. Whilst the cinema is closed, our sister cinemas in Sidmouth, Exmouth & Bridgwater are open as normal, and would be delighted to welcome customers from Lyme Regis through their doors. If you have pre-booked tickets for any shows, we are currently working through our contact information to arrange refunds. If you have booked online, you will be contacted shortly to arrange a refund. And we shall arrange a refund as soon as we receive them. 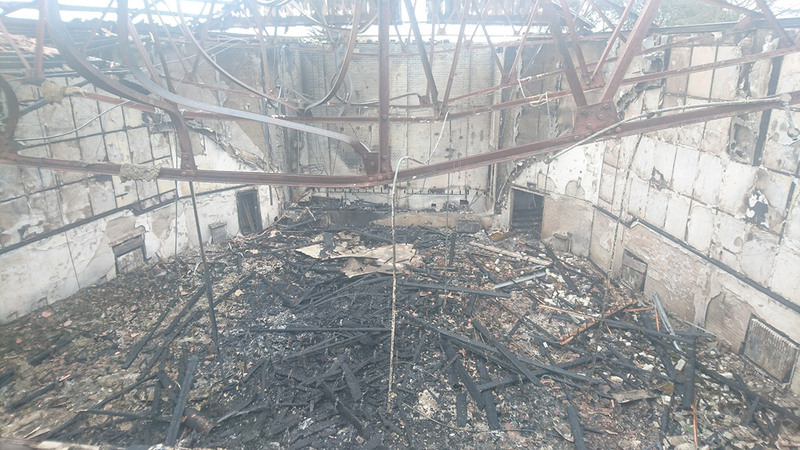 At around lunchtime on Tuesday 22nd March, a fire in the roof of the Regent Cinema in Lyme Regis started and took hold, causing almost complete destruction of this Grade II Listed Building. Thankfully, there were no casualties at the scene. The authorities inform us that there are no suspicious circumstances surrounding the cause of the fire. Whilst not confirmed, it is believed to have been caused by an electrical fault. Naturally, Scott Cinemas are saddened by the loss of this wonderful example of Art Deco architecture, especially after our recent completion of extensive refurbishment, and the loss of the cinema facility to the town of Lyme Regis. We also apologise for the disruption to the town that this event caused, but thank the townsfolk for the overwhelming and touching messages of support we have received. We would also like to take this moment to thank Dorset Fire and Rescue and other emergency services who did everything possible. However, we are fully confident that this loss of the cinema facility will be temporary, and that the Regent will be rebuilt to it's former glory. As a listed building it was insured with this requirement in mind. In the meantime we hope customers will support us by using our sister cinemas, the nearest being Sidmouth and Exmouth. Situated on Sidmouth High Street, our Radway Cinema features balcony seating and a coffee lounge.